The highest resolution packs only contain the two photos at the top, because of the limited size of the originals. A few comments on the exterior of the CCX. I think the suttle evolution of the front is great, with the new bonnet and fog light holes . At the back they have cleaned up the looks of the venturi tunnel openings, which makes it look much more sophisticated. If you want to compare it to the CCR I’ve got several photos here. Of course, the CCX wheels are seriously mean. A great improvement on the CCR. An official brochure has leaked, stating that the CCX does in fact only have 806 BHP. Edit: To save some space on my server I’ve deleted some of the less common resolutions. Posted at 00:55. 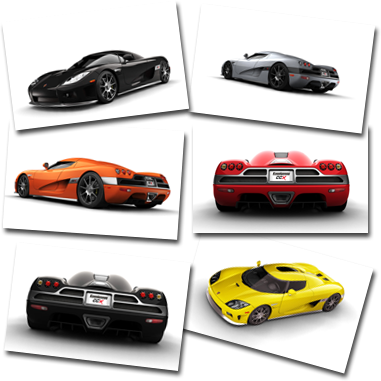 Categories: cars, Koenigsegg. Both comments and trackbacks are closed. CCX are som much better than the CCR. I like alot!!!!!! !